It's been a tough few years for SsangYong, especially in Europe as Russia, formerly one of its best markets, fell apart. Now, things are looking up. The Musso is off to a good start at home, production shifts are being added and the brand is pulling further ahead of GM Korea and Renault Samsung. 6 July: this review was originally published on 5 July. Please see additional text in italic, four paragraphs from the bottom. There has been turbulence for the brand in Britain too. Importers have changed, as has management and as so often happens, a collapse in sales is blamed on the decisions of those who went before. Volume went up but profits apparently did not. Year to date, the brand is looking at a 29.6 per cent decline, with volume of 1,625 passenger vehicles. Bassadone Automotive Group, the latest importer for the UK, has installed Jim Tyrrell, once the CEO of Mitsubishi Motors' UK concession, the former Colt Car Company. He is joined by managing director Nick Laird and they intend to lift sales volumes, dealer numbers and margins. Both made presentations at the recent media preview of the new Musso. Britain being one of a handful of once-strong export markets for the Mahindra-controlled OEM, much is hoped for from the Musso. This being a country where interest in pick-ups is on the rise, RHD versions of this 5,095mm long light truck are going on sale only months after its arrival in South Korea. In the country of build, the Musso is called Rexton Sports. That gives away what this four-door pick-up is based upon: the Rexton model name is used for that ladder frame SUV in the UK too. As Musso is known from previous generations of SsangYong models (although, confusingly, not every model called Musso in Britain has been a pick-up), it makes sense to use that badge. BAG is making much of the name by using "Korean For Rhino" accompanied by the outline of the animal in question in its advertising. Cue marketing bullseye charts displayed to journalists with terms such as 'tough', 'strong', 'nothing stands in its way' and so on. Quite a lot has been standing in SsangYong UK's way of late when it comes to sales success. UK registrations for June numbered just 359 units, although that's an improvement on what's been happening for many months. Year to date, the brand is looking at a 29.6 per cent decline, with volume of 1,625 passenger vehicles. At least, as the June data show (-0.83 per cent), the plunge has been arrested. "We have sixty dealers who are very popular with their customers. That's a good basis upon which to build a platform for growth", Tyrrell states. First though, he and his crew must "steady the ship". One example of what has already happened: a cost-cutting wrecking ball has been swung right through a one-make Musso motor racing series. All manner of other non-essential spending has been stopped in its tracks too. The new CEO is realistic enough to see that SsangYong needs to be promoted as a good value Korean brand. Tyrrell believes the image, if there even is one amongst the public at large, is that of a cheap, average quality brand. Head of Marketing Steve Gray backs that up, and having been at the UK importer for some years, knows there is a mountain to climb. Yet in time, he sees no reason why SsangYong cannot be thought of as "a Korean Jeep or Land Rover". That's the plan, now the hard work of rebuilding begins. Loss making deep discounts are out, as is pushing vehicles into the daily rental market. Tyrrell hopes that it might take fewer than the three years he has decided could be needed to lift annual deliveries to 10,000 a year. To help with that target, another 30 dealers are to be recruited. All being well then, by the end of 2020, BAG should have a network of 90 SsangYong retailers in Britain to add to its existing business of being a multi-brand distributor in various Baltic countries. BAG has gone with a diesel-only offering, although a 2.0-litre petrol engine could be added as this exists in South Korea. Talk is nice. Lifting market share from 0.15 per cent at a time of enormous economic uncertainty in the UK will be far more difficult. So BAG has decided to do something dramatic: match the seven-year warranty of Kia Motors. Well, almost match it. The small print is that it applies only to the Musso and Rexton. To its credit, BAG will give two extra years' cover to anyone who has already purchased a Rexton since last year's market release. Mileage is limited to 150,000 though. SsangYong's existing warranty for other models offers limitless cover for five years. This will remain although it can be lifted to seven years/150,000 miles at additional cost. 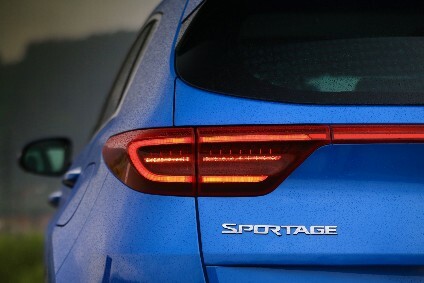 BAG has decided to go with a diesel-only powertrain offering, although a 2.0-litre petrol option could be added as this exists in South Korea. The 133kW/181PS (and 400Nm) 2,157cc engine is linked to either a six-speed manual gearbox or, for an extra GBP1,250, an Aisin six-speed automatic. The auto is the better of the two as the manual has a long, slow-action throw and probably won't be too popular with buyers anyway. The self-shifter is good, just not as refined or state of the art as the Mercedes-Benz seven-speed auto in the Rexton. Top speeds are 121 (manual) or 115mph (auto) and Combined averages are 35.8 or 32.9mpg. CO2 numbers are 211 or 226g/km. The Musso can tow either 3.2 (manual) or 3.5 tonnes (automatic) and at the same time, carry a payload of up to one tonne in its tray. The standard 4x4 system is activated in the same way as it is in the Rexton, which is via a simple rotary controller. For the money, buyers will likely be able to forgive the Musso's only serious fault, which is a ride that can be bouncy. Since the arrival of the X-Class, many makers of one-tonne pick-ups have been falling over one another to add luxury features. Not so long ago the idea of a Nissan-based Mercedes in this segment which people willingly pay up to GBP40,000 for would have been laughable. No longer. Which is why SsangYong sees its chance to catch the eye of many buyers in the segment with its strong standard or reasonably priced optional equipment list. Luxury touches in the Musso include (in the higher model grades) nappa leather upholstery; a heated steering wheel; plus electrically operated, heated and ventilated seats. And surely it's luxurious to offer a super-roomy rear compartment? I would go so far as to say there is more space for back seat passengers than in any rival. Another touch which says premium and intelligent thinking is the design of the doors: they cover the sills just as they do in the Rexton thus preventing dust, rain water or mud from soiling occupants' clothes. The load bay isn't bare metal either, with even the base EX having a tough, scratch-resistant bed liner. There is also a well protected 12V/120W power outlet plus rotating hooks to help strap-down loads such as tools and equipment. Oh, and ten out of ten to SsangYong for making a full-sized spare wheel not just available but standard. All Mussos also come with alloy wheels, DAB audio and bluetooth, six airbags, remote locking that includes the tailgate and is fuss-free (this is much better than an X-Class), automatic headlights and rain-sensing wipers. Time will also be saved by all owners: every Musso has a 75l fuel tank. For the money, buyers will likely be able to forgive the Musso's only serious fault, which is a ride that can be bouncy if there isn't any weight in the back seats or load bay. SsangYong UK provided an example carrying a pallet of bricks and the transformation was immediate. No 2,000+kg ladder-frame chassis pick-up, especially one with an elevated body and relatively unsophisticated suspension, is going to behave like a VW Golf, Nissan Qashqai or other typical big selling European car. In that context, the Musso is fine as it is. In fact, the steering, which will shimmy only occasionally, is better than several rivals too - far less vague, and the dashboard and all other parts of the interior could teach some established names a lesson. 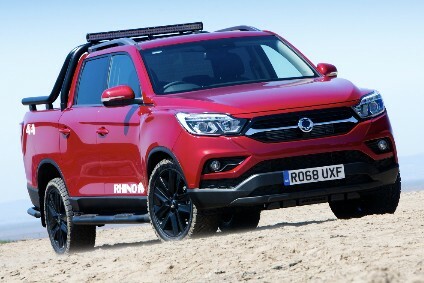 In summary, if SsangYong retuned the suspension or re-engineered it to have a self-levelling back end, then this could easily compete with the best GBP30,000+ 4x4 pick-ups. For between £20,000 and £28,000 though, the Musso offers seriously good value for money. With interest in one-tonne pick-ups on the rise, SsangYong is likely back on the right path for a sales expansion too. 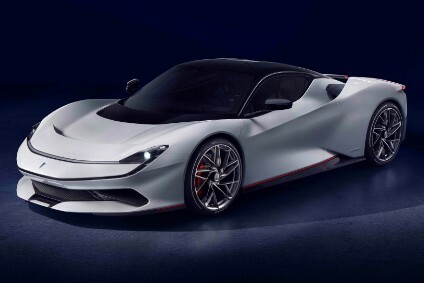 As for the next developments in the life cycle of the Musso, a longer body will be added in 2019. SsangYong has only one factory. Pyeongtaek, south of Seoul, builds every model. That includes body-on-frame SUVs and pick-ups such as the Rexton and Musso/Rexton Sports, plus the Turismo which uses a Mercedes-derived car platform which dates to the 1980s, as well as the Korando and Tivoli monocoque SUVs. The last of these was the most recently launched SsangYong prior to the arrival of the Quad Frame Rexton and Musso. It's due for a facelift next year and sales remain incredibly strong: how greatly it must irritate Hyundai and Kia that neither is able to break the Tivoli's dominance of the small SUV segment in South Korea. 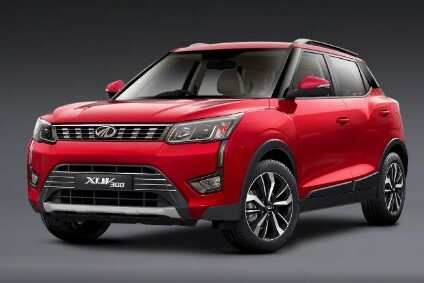 As for the next developments in the life cycle of the Musso, a longer body will be added in 2019 and it wouldn't be surprising if M&M took on some SKD assembly at the same factory in India which is set to put together Rexton kits in a few months' time, with the result to be marketed as a Mahindra. A lot more detail of existing and next generation SsangYong and Mahindra vehicles can be found in just-auto's current and future vehicles database. 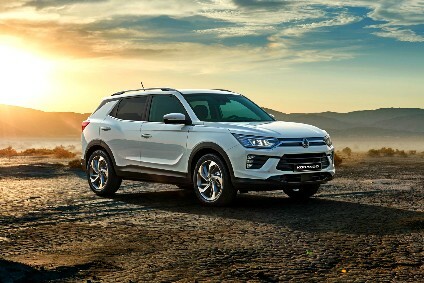 SsangYong Motor Company announced that the company sold a total of 13,590 units in March 2019 – 10,984 units in domestic sales and 2,606 in exports including CKD kits.